It is no secret that the Earth is getting hotter. A buildup of greenhouse gases such as carbon dioxide and methane has sparked a slow but steady increase in the amount of heat that is trapped by the atmosphere. As a result, the surface of the planet is slowly warming. This process has also been shown to alter worldwide weather patterns, especially those of precipitation, and the oceanic biogeochemical cycles. The complete impact of these anthropogenic alterations to the planet is debated across numerous fields of science, economics, politics, and ethics. 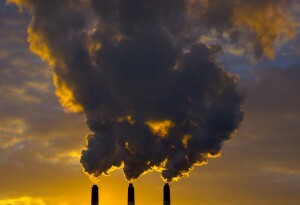 However, one certainty is that a doubling of the preindustrial level of atmospheric greenhouse gases could cause a global temperature increase of 2 to 5 degrees Celsius. 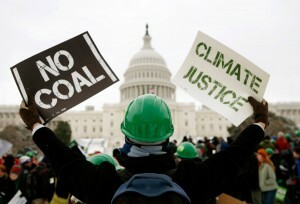 In many ways, global warming is a manmade problem, as waste and industry have contributed to greenhouse gas emissions. In order to reduce the production of greenhouse gases and possibly return the planet to its previous climate, humanity will have to drastically shift its way of life. But many are reluctant or resistant to living a “greener” lifestyle. The emerging field of geoengineering, or climate engineering, proposes numerous technological ways to halt climate change without altering the rate of anthropogenic carbon or methane emissions. This new field proposes a manmade solution to the manmade problem. An extremely young and interdisciplinary field, geoengineering consists of a wide variety of technological proposals. Most, if not all, of these projects are still theoretical, model-oriented, or in the trial phase. These intervention techniques span a wide range of strategies, from solar radiation management with reflective balloons or cloud seeding to greenhouse gas remediation through carbon sequestration or ocean acid neutralization. Some proposed methods are as extreme as building a giant space sunshade or covering deserts and glaciers with reflective plastic sheeting. Smaller ventures include reforestation and cool roof projects. Other projects have begun field or lab testing, such as ocean iron fertilization and sulfur aerosols. Geoengineering is thus an umbrella term for a diversity of techniques to combat climate change, but most of these projects have a few things in common. These plans often suffer from overwhelming costs, unsure benefits, and controversial risks. A recent study in the Journal of Geophysical Research: Atmospheres warns the scientific community about the potential risks and negative impacts of solar radiation management, specifically those having to do with changes in precipitation. These methods do not deal with the growing concentration of greenhouse gases in the atmosphere that is directly responsible for climate change. Rather, this type of geoengineering seeks to reflect sunlight that would otherwise reach the Earth’s surface to reduce global warming. The technique is not groundbreaking in so much as it is already performed naturally by aerosols such as haze, dust, and pollutants in the atmosphere. Aerosols are naturally formed as a result of volcanic eruptions and forest fires, but can also be formed by anthropogenic pollution. These particles cause a phenomenon called global dimming, in which they alter the albedo, or reflectivity, of the Earth, reflecting heat back into space. For example, a 0.5 percent albedo increase would roughly halve the effect of CO2 doubling. Since most greenhouse gas remediation techniques would only have long-term effects, radiation management techniques are seen as “quick-fixes” that can be used until the greenhouse gas concentrations are under control. Solar radiation management includes a wide variety of methods that include atmospheric projects, such as increasing aerosol concentrations, cloud reflectivity enhancement, reflective balloons, and cloud seeding; terrestrial albedo modification projects, such as cool roofs, reflective sheets, and deforestation of snow-covered areas; and space projects, such as space mirrors, space lenses, and even detonating a nuclear bomb on the surface of the moon, creating a dust cloud between the Earth and the sun. The new research, led by scientists at the National Center for Atmospheric Research in Boulder, Colorado, used 12 different leading climate models to simulate and analyze the effects of increased atmospheric carbon dioxide on global precipitation patterns. If anthropogenic increases in carbon dioxide continue, the direct warming of the planet will cause an increase in atmospheric water vapor (more heat means more evaporation). In addition to the further warming this will cause (water vapor is a weak greenhouse gas), this will also cause changes in the hydrological cycle, specifically a significant increase in total rainfall and the number of monsoonal events. Next, the team decided to assess the further impact of the simultaneous implementation of solar radiation management. Since less solar heat would reach the surface under these strategies, less evaporation would take place on the planet. Additionally, since these methods do not remove the carbon dioxide that is building up in the atmosphere, the increasing CO2 concentrations would cause plants to partially close their stomata, the openings that they use to take in carbon dioxide and release oxygen and water. With these slits perpetually partially closed, less water would be released by plants, further drying the atmosphere, especially over land. Therefore, all of the climate models resulted in significantly reduced precipitation and monsoonal events, especially over land and in geographic areas that tend to have monsoonal seasons. In the simulations, monsoonal rains dropped by about 7 percent in North America and 6 perent in East Asia. At the moment, about only 8 percent of the public can correctly define geoengineering, yet they give strong support for allowing the study of solar radiation management. It is very important that these potential risks and other potential benefits are conveyed to the public, especially since the technology is extremely new and the public’s image of it is quite immature. As Simone Tilmes of the NCAR said in a press release, “What we do know is that our climate system is very complex, that human activity is making Earth warmer, and that any technological fix we might try to shade the planet could have unforeseen consequences.